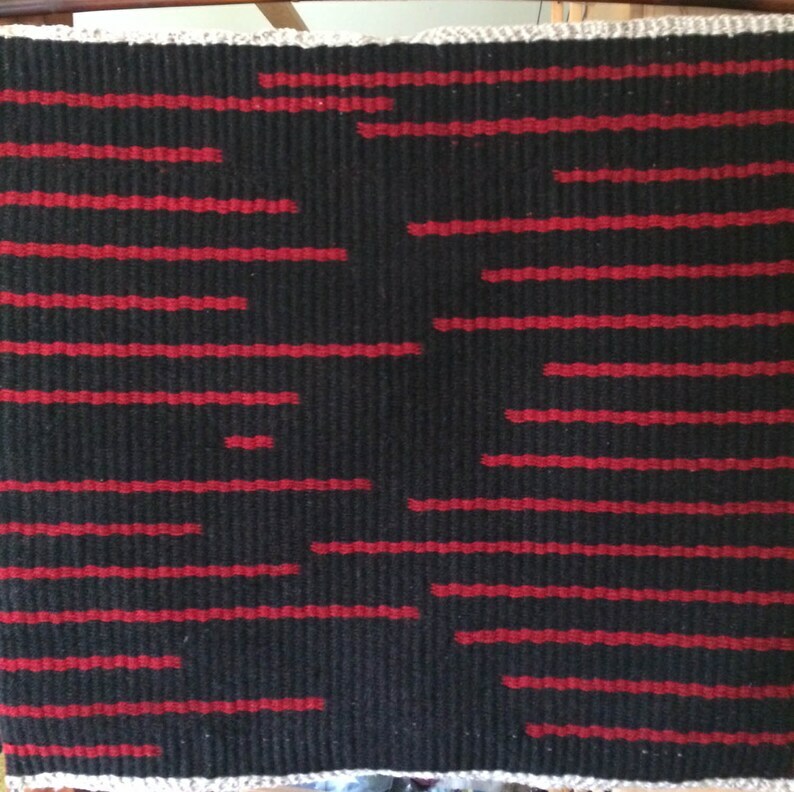 Handwoven wall hanging in black and deep red stripes. The stripes are random length, creativing movement in the piece. Hand dyed wool, using natural dyes. Woven by me on my Harrisville Loom. Mounted on a bamboo hanger that measures 35" wide. It could certainly be removed from the hanger and be used as a rug. It has braided tassels at end corner. They measure 4" in length. Men's or Women's Unisex Handwoven Scarf. Subtle Shades of Deep Purple with Black.